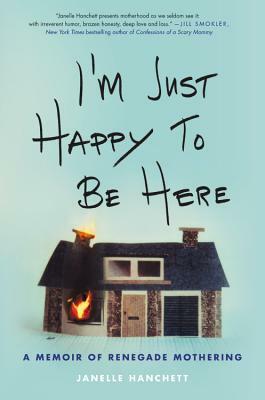 From the creator of the blog "Renegade Mothering," Janelle Hanchett's forthright, wickedly funny, and ultimately empowering memoir chronicling her tumultuous journey from young motherhood to abysmal addiction and a recovery she never imagined possible. At 21, Janelle Hanchett embraced motherhood with the reckless self-confidence of those who have no idea what they're getting into. Having known her child's father for only three months, she found herself rather suddenly getting to know a newborn, husband, and wholly transformed identity. She was in love, but she was bored, directionless, and seeking too much relief in too much wine. Over time, as she searched for home in suburbia and settled life, a precarious drinking habit turned into treacherous dependence, until life became car seats and splitting hangovers, cubicles and multi-day drug binges--and finally, an inconceivable separation from her children. For ten years, Hanchett grappled with the relentless progression of addiction, bouncing from rehabs to therapists to the occasional hippie cleansing ritual on her quest for sobriety, before finding it in a way she never expected. This is a story we rarely hear--of the addict mother not redeemed by her children; who longs for normalcy but cannot maintain it; and who, having traveled to the bottom of addiction, all the way to "society's hated mother," makes it back, only to discover she will always remain an outsider. Like her irreverent, hilarious, and unflinchingly honest blog, "Renegade Mothering," Hanchett's memoir speaks with warmth and wit to those who feel like outsiders in parenthood and life--calling out the rhetoric surrounding "the sanctity of motherhood" as tired and empty, boldly recounting instead how one grows to accept an imperfect self within an imperfect life--thinking, with great and final relief, "Well, I'll be damned, I'm just happy to be here." Janelle Hanchett created the website "Renegade Mothering" in 2011 because she needed to know if the rest of the mothering world was crazy or she was. Writing after her kids went to bed and while she was supposed to be working, Janelle attracted an audience of hundreds of thousands of readers. She holds a BA in English from University of California at Davis and an MA in English literature from Sacramento State. She lives in northern California with her four children and husband, Mac, who thinks "getting dressed up" means shaving his forearm tattoo. "Best Books of the Year So Far (2018)"
TheFix.com, "8 Essential Books on Addiction and Recovery"
brutally funny, and moving memoir of modern motherhood and addiction.